Rosacea is a skin disorder caused by swelling of blood vessels under the skin surface. It is often reported by fair people to have rosacea. 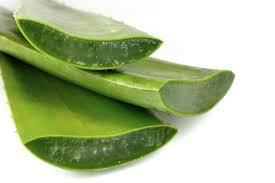 It causes red patches over the face and it appears like acne but causes swelling and burning sensation within the skin. It makes the skin completely dry and ugly to look at . The signs usually disappear for some time but are of recurring nature . There are basically four phases of rosacea and each phase of it is more severe and painful than the former . 1. Pre-Rosacea : In this phase, the blood vessels under the skin dilates and causes a red blush like appearence all over the face . 2. Vascular Rosacea : In this phase, the blood vessels develops a swelling and pushes the blood outwards at an abnormal rate which results in the swelling and puffiness to accumulate and visible over the face as red lines, commonly termed as spider veins. 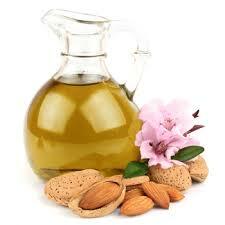 As a result of it , the skin becomes oily and sensitive to cosmetic products . 3. 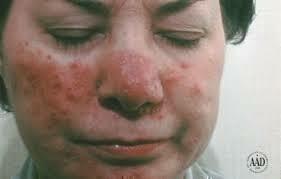 Inflammatory Rosacea : In this condition, the skin start showing the sign of pimples filled with pus and red bumps. When these sign start appearing , it alarms the victim of its severeness . 4. Late Rosacea : In this stage, the skin becomes thick and the redness deepens its way and the condition becomes more worse and the veins can be seen more clearly. It is just a red skin : As we know that people who have fair complexion often when exposed to sun or when they smile a lot , they tend to blush and their face go red but that doesn’t mean that they have rosacea. 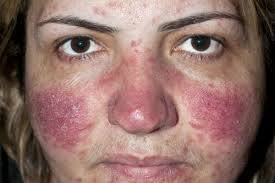 Rosacea does have redness as its symptoms but that occurs because of swelling of blood vessels under the skin surface. So if you have a fair complexion and you blush a lot, you need not worry because that is absolutely normal. Creams are the only available cure for Rosacea : It is a myth that rosacea can be only treated with the available creams in the market . Yes , it i true that hey can help you in reducing its symptoms but they can’t absolutely guarantee its removal. In the end , you’ll have to go through the laser treatment for its complete removal. 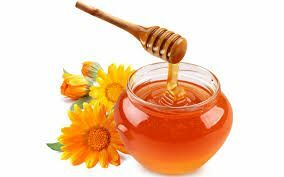 Rosacea is caused by excessive drinking and eating spicy foods : It is not true that rosacea is a result of drinking and consuming spicy food as there is no direct connection of the disease with it . Yes, we can say that they may prove to be a trigger but they are not the reason behind the disease . As it has been reported that half the percentage of people suffering from rosacea were the ones who didn’t touched the drink in their lives and they were not spicy food eaters. It is a form of Acne : This is completely wrong that rosacea is a form of acne , though the symptoms can be the same but comparing rosacea with acne would be a stupidity as both are completely different and their causes are also different. 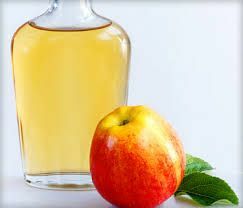 Rosacea can be cured without treating it : Most people doesn’t took a much look at the symptoms and take it for granted and thinks that it would get away itself but this is a complete myth because rosacea need to be treated on time because as the time will pass , it would get more and more worse and the condition can be serious. So better is to visit a skin doctor and get its treatment. Depending on its severeness, he would suggest you a medicine and if more severe, he would suggest you a laser treatment. 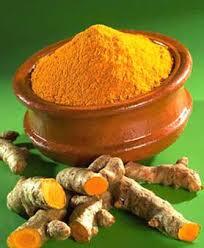 Ayurveda, Beauty & Skin, Womens Health. permalink. thanks for sharing a good remedies…. nyce will be helpfull for the people….